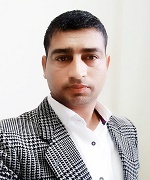 Patrika TV is a 24X7 Satellite Hindi News channel from the prestigious Patrika Group with the same credibility, analysis and in-depth reporting standards as Patrika has shown with variety in its reportage. Patrika Group radio venture FM Tadka is currently the 7th largest radio network in India with 18 stations across 6 states. 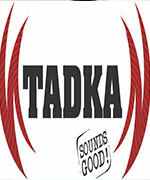 Tadka caters to masses and classes equally with superb music quality on radio set and justify its tag line “Sounds Good”. 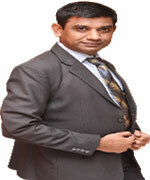 Dr, Arvind Kalia is an academician, Management Coach, as well as a practitioner. 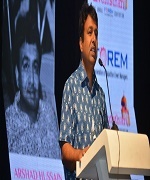 He has taught management in best of the institutes in India and abroad and also implemented the concepts of management in best of corporate world. 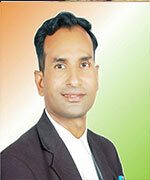 Ranju Mehta is the Director, North Region of I Create India. 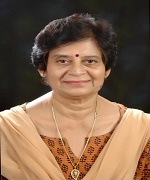 Her passion and consistent work in promoting entrepreneurship amongst youth and grassroots level won her international acclaim of Best Global Educator and Best Certified Entrepreneurship Teacher in 20O4 and 2012 in USA.She has mentored and handheld many aspiring entrepreneurs to set up their businesses successfully. 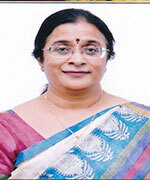 She is Vice-Principal of Kanoria Girls College with teaching experience of 34 years. 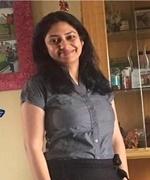 I am Shreyashree Agarwal from Mumbai.I hold the degree of MBA in Marketing and Master in the Insurance business.I have 10 years of corporate experience. I am a Licensed Zumba Instructor n Choreographer by profession at my studio Fabiaana. Diva n Debonair Skills Academy is an indulgent, luxurious total beauty experience. This fusion beauty lounge offers a new class of unique and high-end beauty services. Our team’s outstanding customer service will cater to even the most beauty conscious fashion divas and trendiest cosmetic junkies. 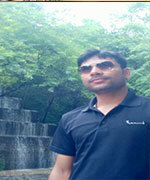 Hey my Name is Mahendra Gahlot from Jaipur. I Hold the degree of BA & LLB. 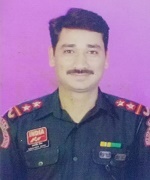 I am a professional Self Defence Trainer since last 25 years and I hold the black belt degree in karate& Kobudo. YogSadhana is a group of highly qualified & experienced professional Yoga trainers working towards one goal and that is to make Yoga & its benefits accessible to everyone and everywhere. Whether you are at your office, home, outside, online, travelling or in a meeting, we will not leave you out. 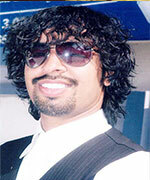 A German language professional with master degree(MA in German). 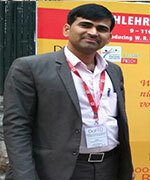 He has done C1 from Bonn (Germany) & has trained more than 1000 Students in last 10 Years. 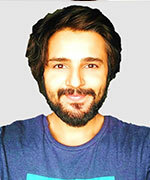 He has also completed Advanced Diploma & TDG (Teaching Diploma in German) with distinction. 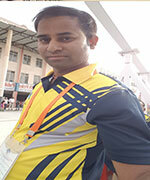 Hey, Everyone, I am Anil Kumar Gaur (Director & Skating Coach) at Jaipur Skating Club Pvt. Ltd Working as a chief referee in Real Gold Roller Skating Championship in 2015, 16, 17 and 18. 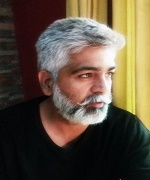 I am working at Jaipur theatre since 1983. as an actor, light designer, play director etc. 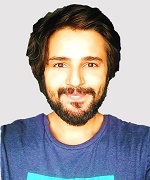 I act in some Bollywood movies like Jodha Akbar, Gulal, Super se Uper, 10 ka Dum, Badlapur Boys, etc. 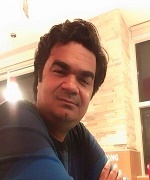 Hi my name is Aditya Sharma. 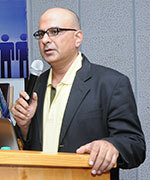 Presently working in LNMIT College and director of Sur Sadhna Music Institute. I am a guitar Teacher from past 5 Years and have been performing at Stage Shows from past 5 Years. We have been successfully running Alpine Abacus Mental Arithmetic Classes, Vedic Maths Classes, Handwriting Improvement and Calligraphy Classes for twelve years.Our training enhances Concentration, Speed, Accuracy, Extraordinary Memory Power, Better Listening Power and Skill In Arithmetic. She is a true art lover. A little nurture and care have made Kalaneri grow towards excellence and perfection so she is consistently working on that. Kalaneri is a unique Art Gallery and Fine Arts Academy, wherein under the tutelage of renowned artists the hidden talent of students is brought out and a strong platform is provided. 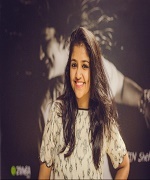 Hey, my Name is Shalini Bhargava. 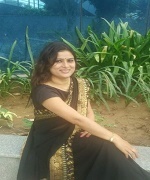 I am a Folk Dance Teacher at my own Academy Nupur Dance Academy from last 15 years. We do a lot of shows outside Jaipur also and represent Folk Dance of India. Jaipur Sangeet Mahavidyalaya is one of the pioneer music and dance institutes in Jaipur established in 2008. We provide both hobby and professional classes for dance; vocal music and instrumental music.We also provide regular opportunities to exhibit your talent and learning. 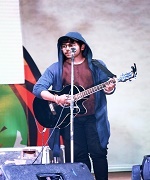 Buskers is an organisation for development of dance. We emphasise on technique which can help the students to strengthen their own inner potential and build up organisational discipline skills for future vision. 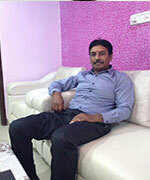 We at our institute create a friendly and healthy ambience. Hello everyone... 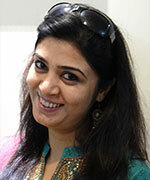 I am Shefali Jain from Jaipur. I hold the degree of M.Com & B.Com . 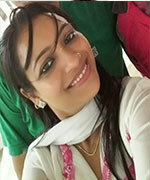 I am a Licensed Zumba Instructor and working as a Fitness Trainer at Multifit Fitness Solutions , Jaipur. 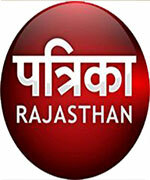 NEXZEN is one of the pioneers of Event management industry of Rajasthan. Years before when the event management industry was about to come out of its cocoon, NEXZEN changed the mindsets and created a scenario where people started taking event management seriously and professionally. 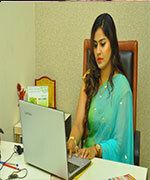 Hello Everyone, I am Sheetal Sharma. 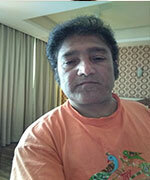 I am Yoga & Aerobics Trainer at my own academy Sheetal Yoga & Aerobic Classes from last 5 Years . I hold the degree of MA (double) and MBA in HR as well as Diploma in Yoga. We are providing Yoga, Aerobics, Zumba & Meditation classes. 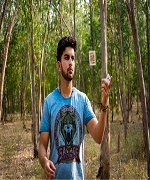 Magician Rahul is Core of americanstreetmagic.com He is a well Recognized name in the Entertainment Industry as being friendly and highly Entertaining, Specializes in Performing in Elite weddings or Family Get-togethers. 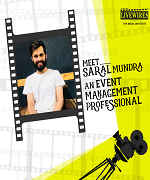 Hello Everyone I Am Saral Mundra from Livewires Media Institute.I have done diploma in Event Management 5 years back.I Worked with GS Worldwide Entertainment, a production house and an event management company and managed some big fat Indian weddings and artists like Amitabh Bachchan, , singer Manasi Scott etc. I have been conducting classes in bonsai and terrarium making as well as tray gardening in Jaipur and Gurgaon. I have also developed a `Grow Green` gardening club of like-minded people to share and learn the unique ideas of planting! The academy envisages achieving excellence by providing state of art facilities of quality traing along with coherent personal guidance and holistic wellness technique to enhance target delivery. Sanctuary sports academy was established in 2004, we provide Football Coaching classes and Cricket Coaching classes. The ultimate aim is to bring your School on the cricket map of India in the near term and national level in the long run.